Life As It Is: Would you eat it? I would totally eat the crap out of that. Are those burgers beef? They look like weird portabella crafted into burgers. There's something off about them. But god they look yummy. 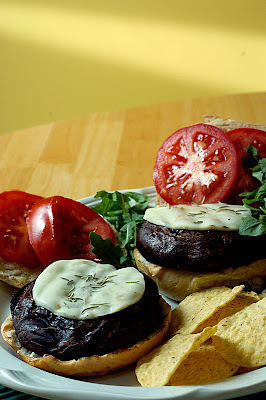 The burgers look slightly like charred poop, but I think I'd be up to trying it. A burger is a burger, right?